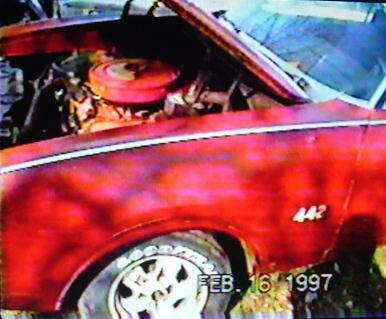 At right are some pictures of the 442 taken from a VHS video shot in Connecticut by the owner at that time (1997). 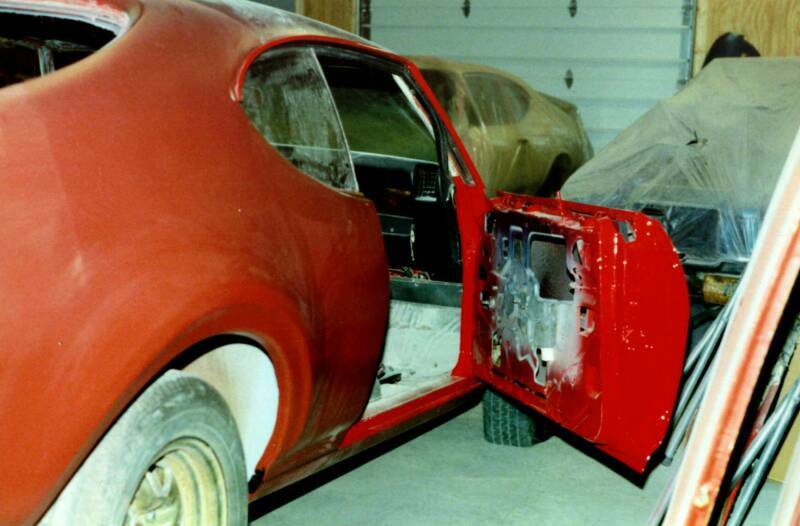 Others were shot by Mark Etter. 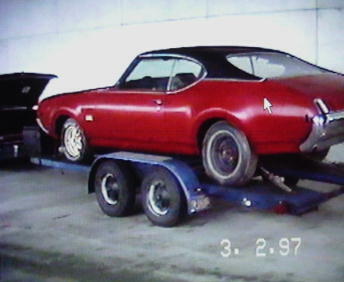 Based on the video, Mark traveled to Connecticut with a trailer and brought the car back to Middletown, Pennsylvania, where it was restored. 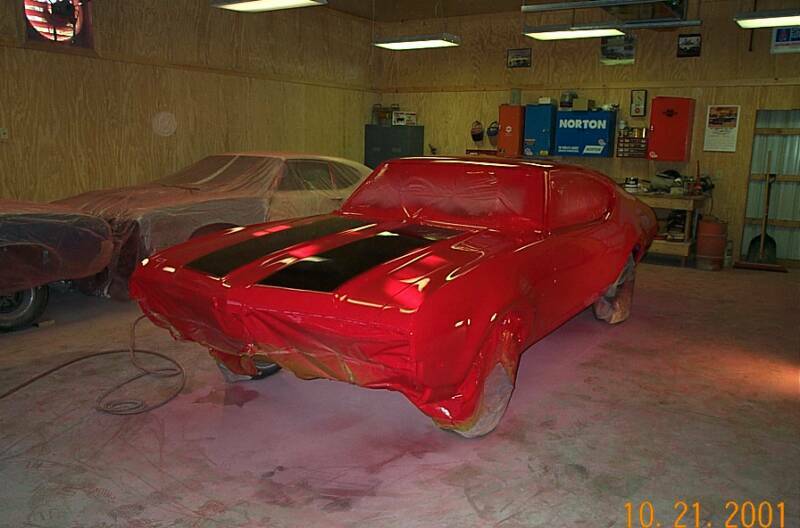 Look for Mark in one of the pictures on the trailer. 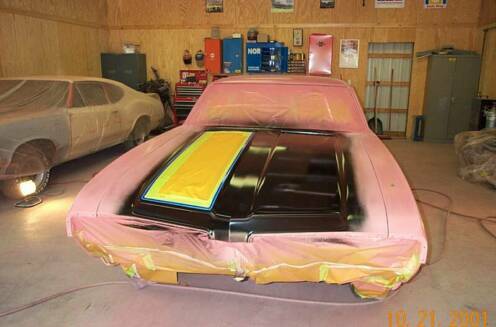 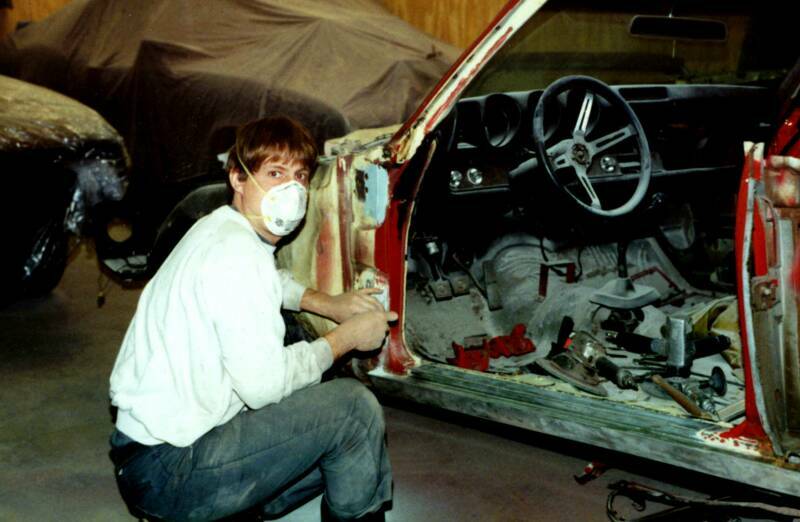 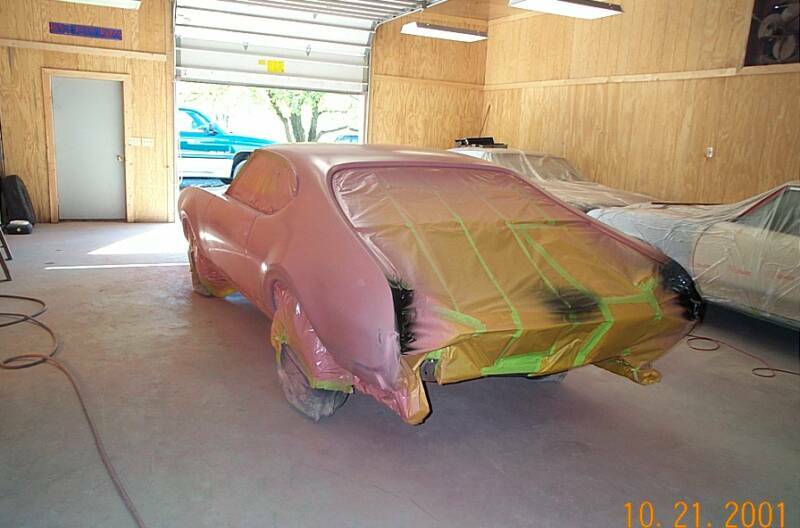 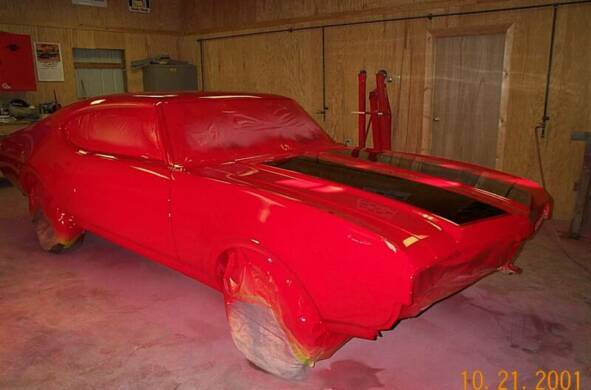 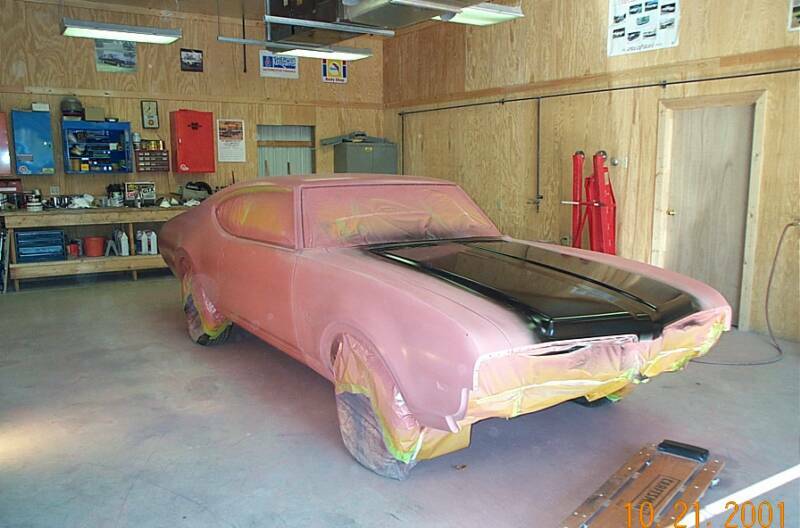 It was a long process and the car was not ready for paint until 2001. 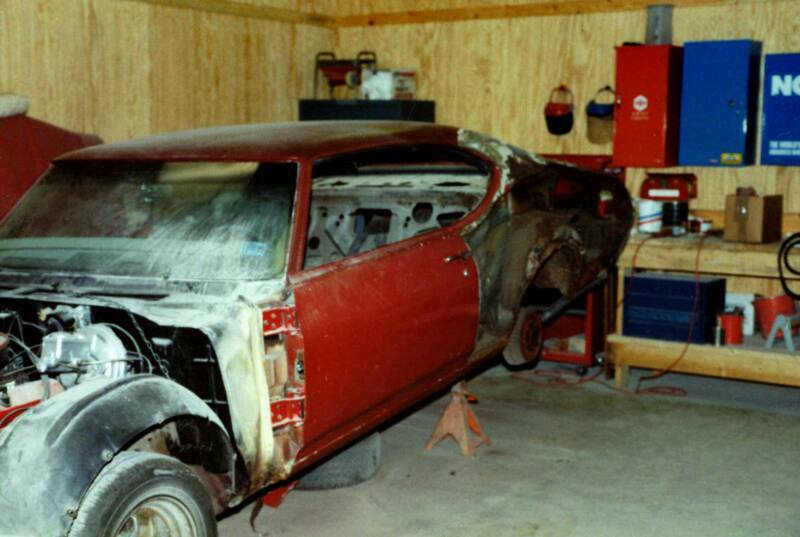 Some of the photos show a "donor" car Mark bought for parts. 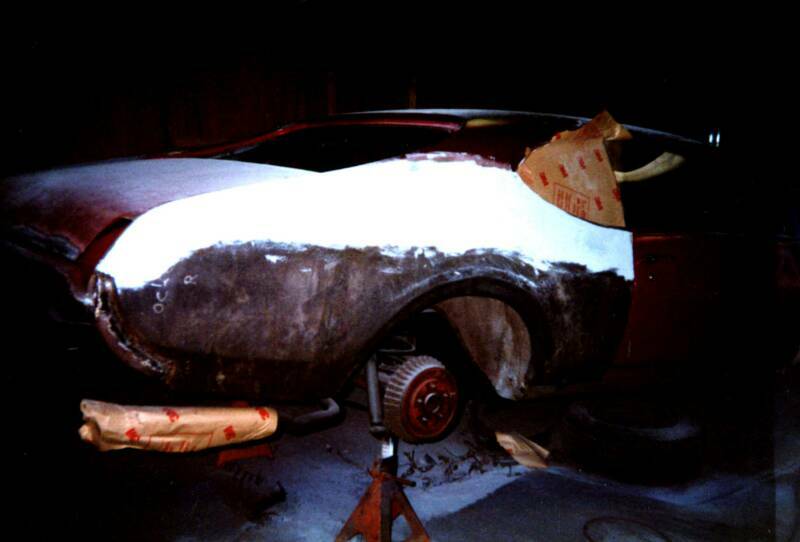 Read more about the car on the History page. 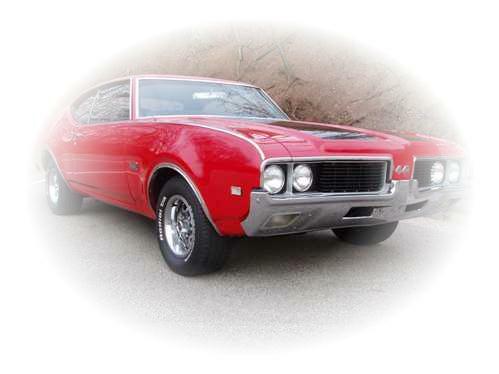 To "freeze" a picture, move your arrow into it.